Oil on canvas panel 10x10 inches unframed. Hapenny Bridge Midnight Reflections. Oil on canvas panel 10x10 inches unframed. 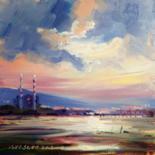 Dollymount Autumn Morn - Painting, 8x6 in ©2012 by BILL O'BRIEN - Figurative Art, Dollymount Autumn Morn. Oil on gesso primed board 8x6 inches approx by Bill OBrien. Irish Art. 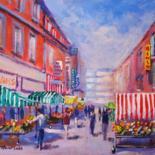 Moore St Afternoon - Painting, 10x8 in ©2012 by BILL O'BRIEN - Figurative Art, Moore St Afternoon. Acrylic on canvas panel 10x8 inches by Bill OBrien. Irish ART. 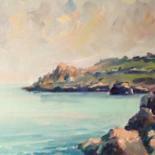 Balscadden Howth. 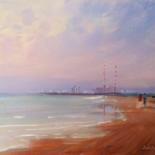 Evening - Painting, 8x6 in ©2012 by BILL O'BRIEN - Figurative Art, Balscadden Howth. Evening. Oil on gesso primed board 8x6 inches approx by Bill OBrien. 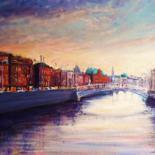 Irish Art.